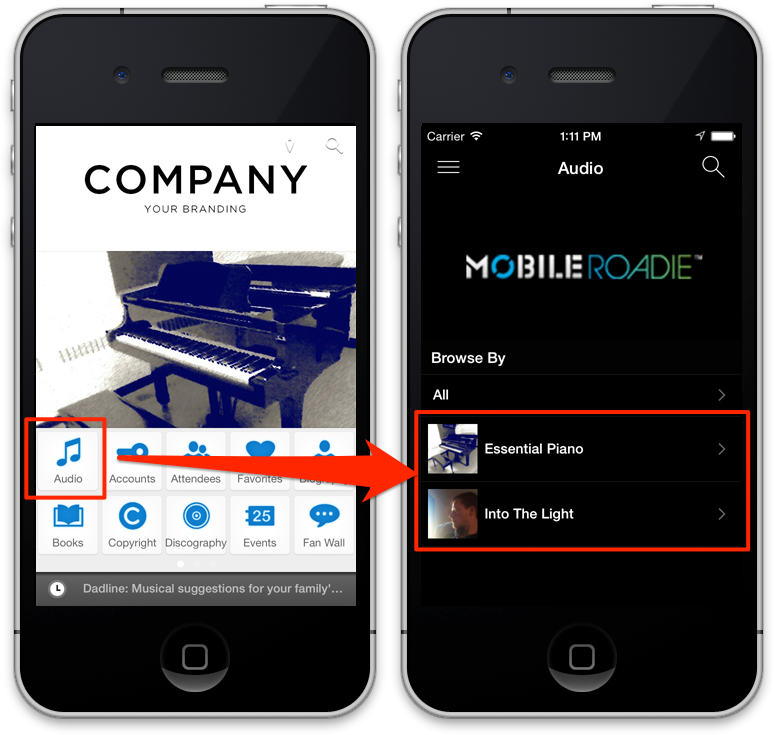 Sections can not currently be duplicated or added multiple times inside of Mobile Roadie apps. 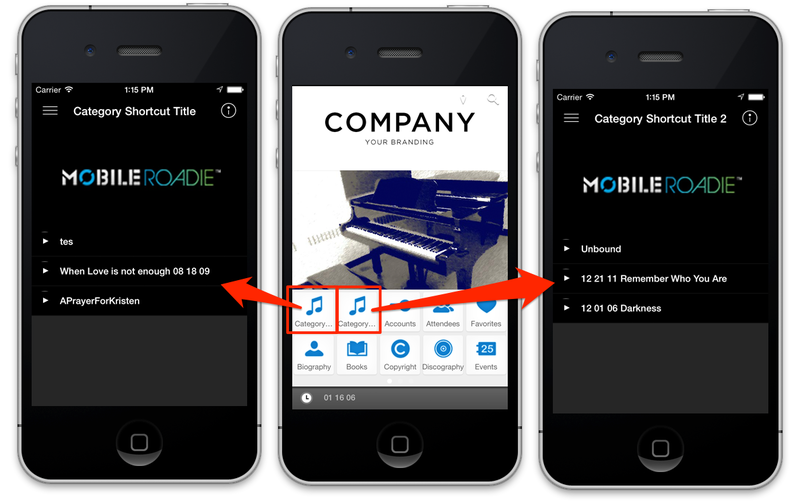 Pro App packages, however, have access to categories and the category shortcut section which allow content to be siphoned off into independent top level sections. 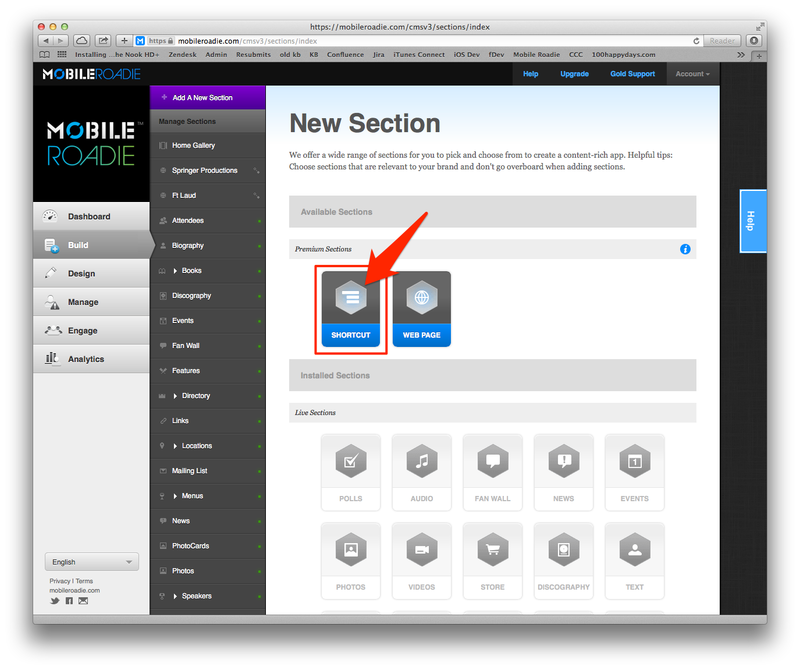 In the CMS, these sections are limited to one content type per category shortcut (i.e. Audio, Photos, Video, etc..). 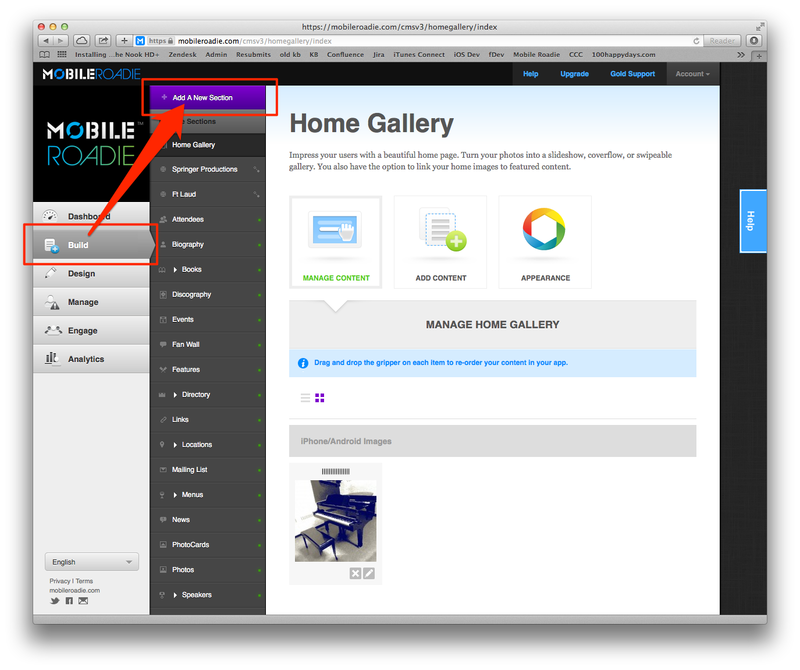 From an end user standpoint in the app, each category shortcut will function as a separate section on their device. *NOTE* categories and category shortcuts are currently only available on Pro app package. Core Accounts can be upgraded to Pro here! 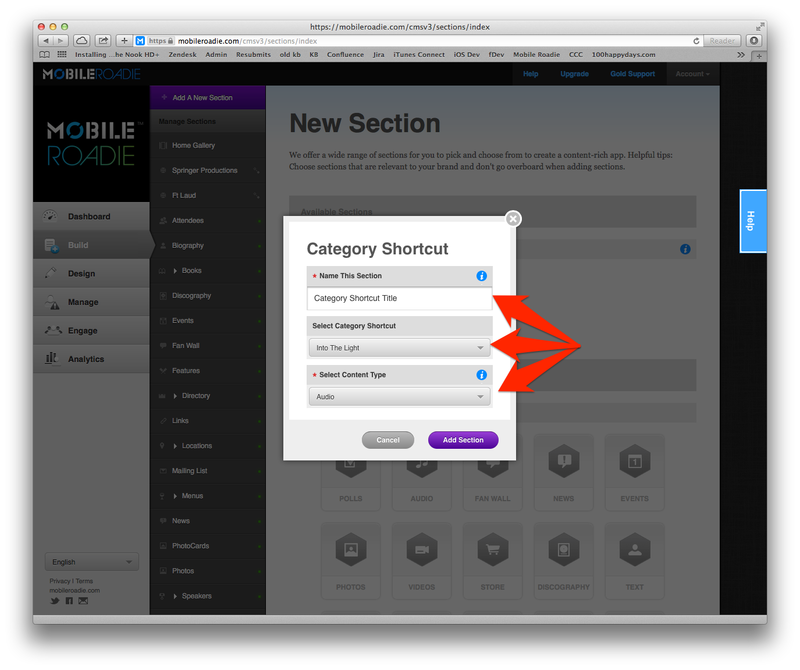 The first step in setting up category shortcuts is assigning content to the categories which you want to pull out as top level sections (see here for more information on categories). 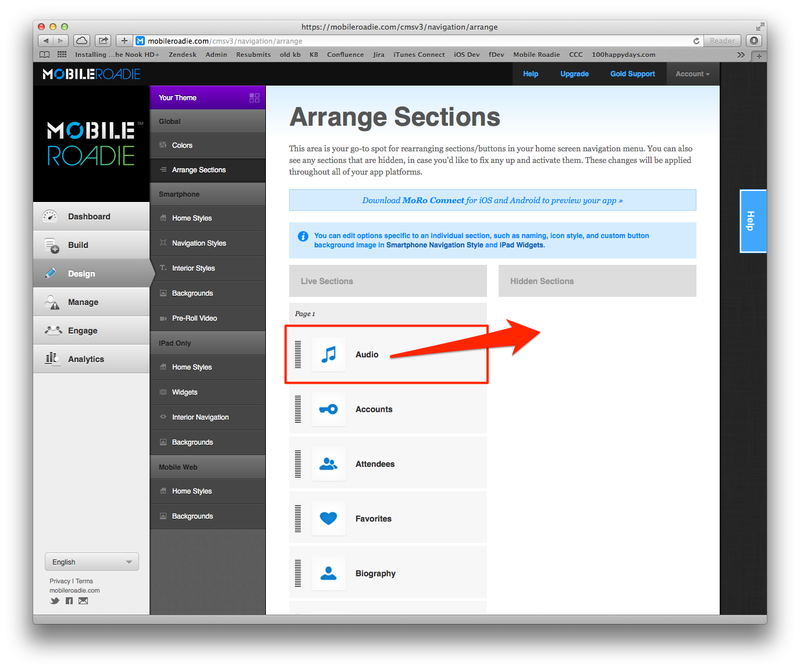 Repeat the above steps to setup as many category shortcuts as needed! Once you have created all of your category Shortcuts, Hide the main section(s) in the CMS under Design>Global>Arrange Sections by dragging/dropping the section under the Hidden Sections heading. This will hide the main section from view in the app, leaving only the 2 independent category shortcuts as top level sections on the home screen of your app.